In the lingering fog of my jet lag after returning from a two week North America trip, I caught a couple of trains to Amsterdam to meet up with Katie and her fiancee Max for a photo shoot. 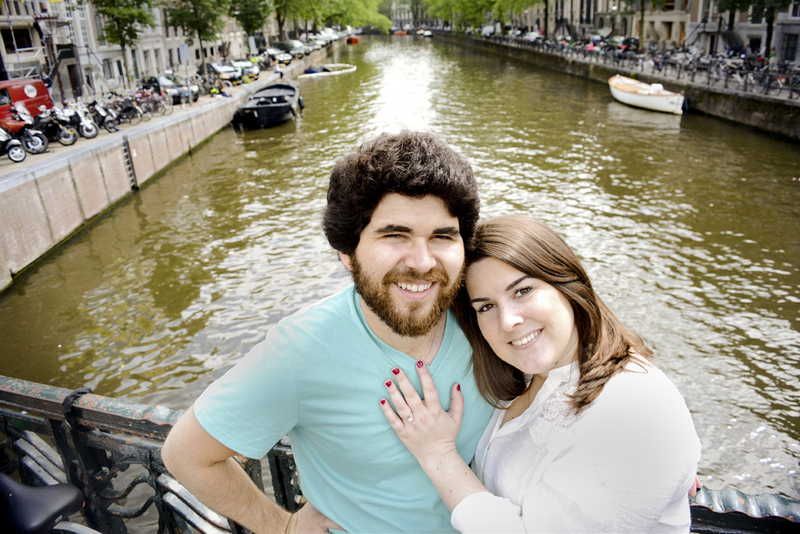 They're getting married next year and they were spending the last day of their European vacation (they're both from L.A.) wandering the canals and bridges of the city while I got to know them - Katie found me online, so thanks Google for making this happen. As always, it was lovely getting to use Amsterdam's streets as the backdrop for a shoot with a fun international couple.